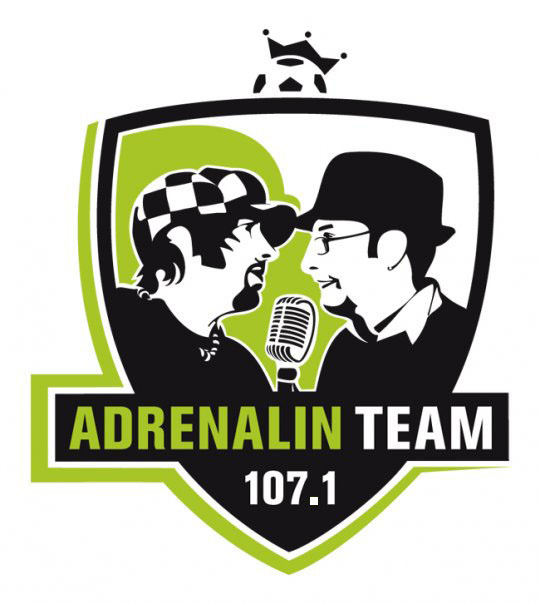 It is a logo for a radio-show. the two guys in the brand presenting every week the matches of the local football team st.gallen. the crown on top is a symbol for king football.